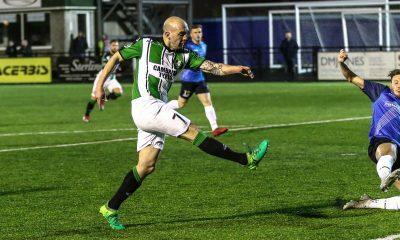 ABERYSTWYTH Town’s season swung upwards on Friday night (Feb 8) at Stebonheath Park as a devastating three goal blitz in six minutes at the end of the first half put the Black and Greens in an unassailable position, and earned them their first League win since November. Goals from Paolo Mendes (41 mins), Wes Baynes (43 mins) and two from the evergreen Geoff Kellaway (45+2 and 62) saw Town to the Top of the Play Off Conference with Joe Clarke (57 mins) and Joe Hunt (64 mins) responding for the Reds of Llanelli in vain. 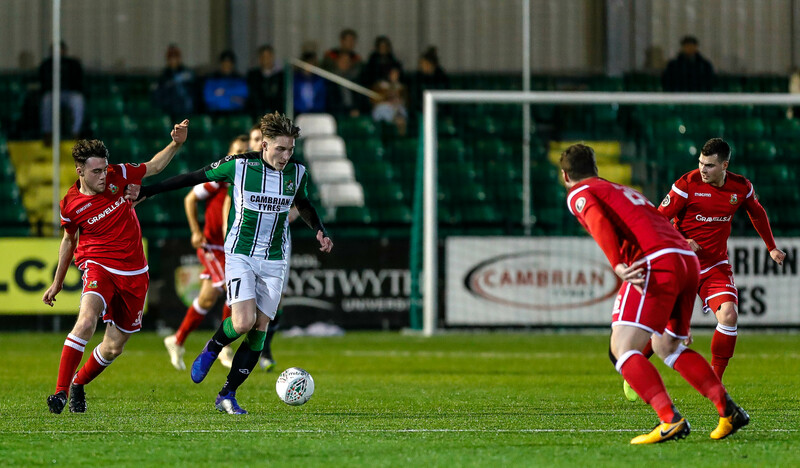 After eight games without a win the magnitude of this match was huge for Aber and on a cold and blustery evening the home groundsmen had done a superb job to get the game on. 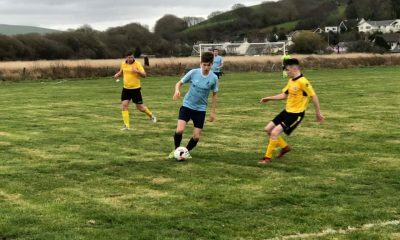 The Ceredigion men started well with Declan Walker and Wes Baynes putting dangerous balls into the box, and Ash Ruane having a shot blocked. The hosts were also creating chances though as Chris Jones’ effort from a James Loveridge pass was saved. Mattie Jones’ superb left wing cross then saw Ruane straight through but home keeper Scott Coughlan pulled off a great save to deny the Green Goal Getter. 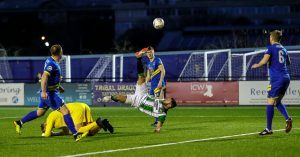 Further quality crosses from Baynes and Jones caused consternation and then Ryan Wollacott, who was superb all night at the back for Town, brought another save from Coughlan with a header. 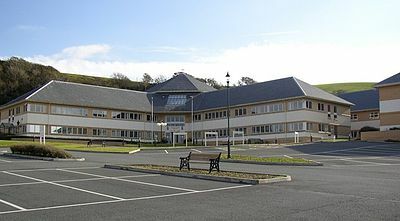 Loveridge curled a shot narrowly wide for Llanelli but then Baynes went even closer at the other end with a cross shot. Then a series of corners turned the game, and maybe even Aber’s entire season. First Jones’ corner reached Mendes at the back stick to head home. 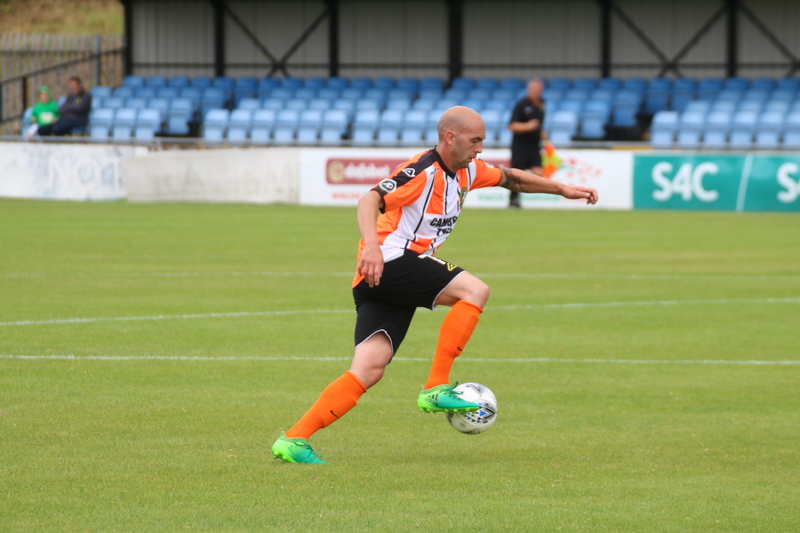 Ruane’s shot was then deflected over for another corner, and Baynes’ cute delivery curled right into the top corner. 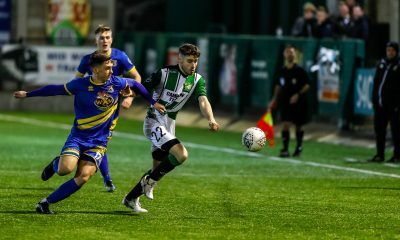 Four minutes later Aber were in dreamland as Kellaway found the bottom corner with a superb strike from the right hand side, and with the visiting fans signing for joy clinical Aber went in three goals to the good. Playing against the wind in the second half the visitors continued to press without really creating too many openings. 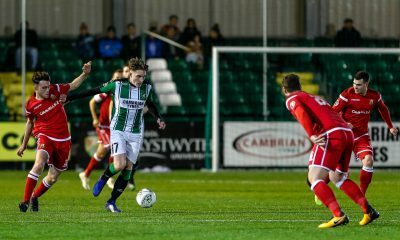 However, two former Black and Green players combined as Chris Jones crossed for Clarke to head Llanelli back into the game. 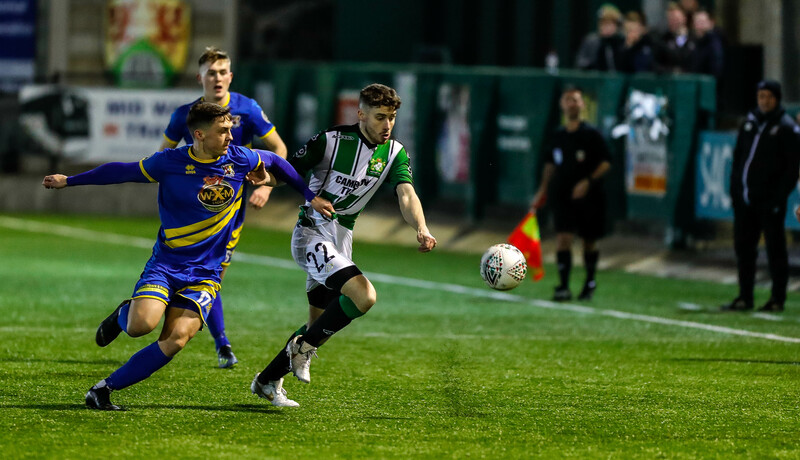 The next goal appeared crucial as the game opened up and Jones just failed to find Loveridge with a cut back which would surely have caused huge problems for Aber. As it happens the hard working Marc Williams found the bye line at the other end and cut back for Kellaway to stab home a killer fourth, and surely the game was over? However with the next move Joe Hunt’s free kick curled right into the corner of Terry McCormick’s net and it was 4-2. 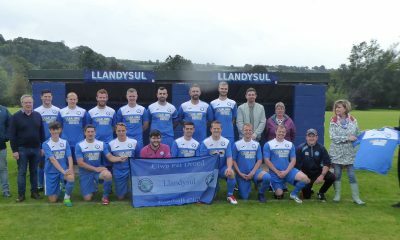 A hugely open game continued apace and Aber’s Superb Singing Fans inspired their team forward. 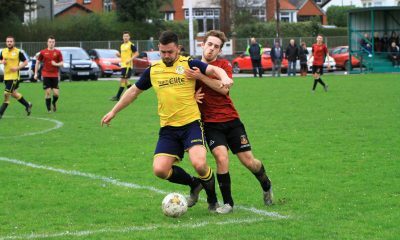 Kellaway burst through down the left but was denied a hat trick by Coughlan, and then Ryan “The Rock” Wollacott cleared off the line with the hosts threatening a comeback. 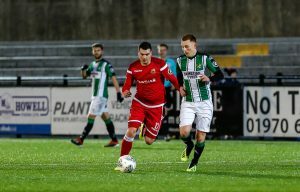 With five minutes of injury time indicated sub Joe Dyer sent a great chance over for Llanelli, and Aber held on for a priceless win.